I have to replace the head cooling fan since there might be dust inside and is not reaching maximum speed (if I make it run at middle speed I have to start manually). 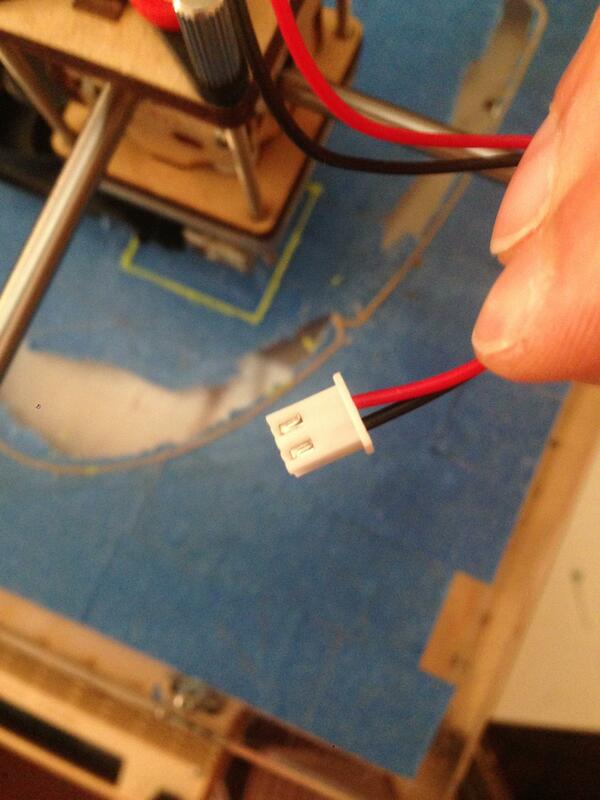 I am in a bit of a rush (quite desperate though) and I can't wait the shipping time from Ultimaker. The problem is that the wires are not connected to the right connector . At Maplin they don't have it. I went to http://uk.rs-online.com/web/ and they weren't so keen to help me since they said that there are thousands of them and I need to know the specifics. 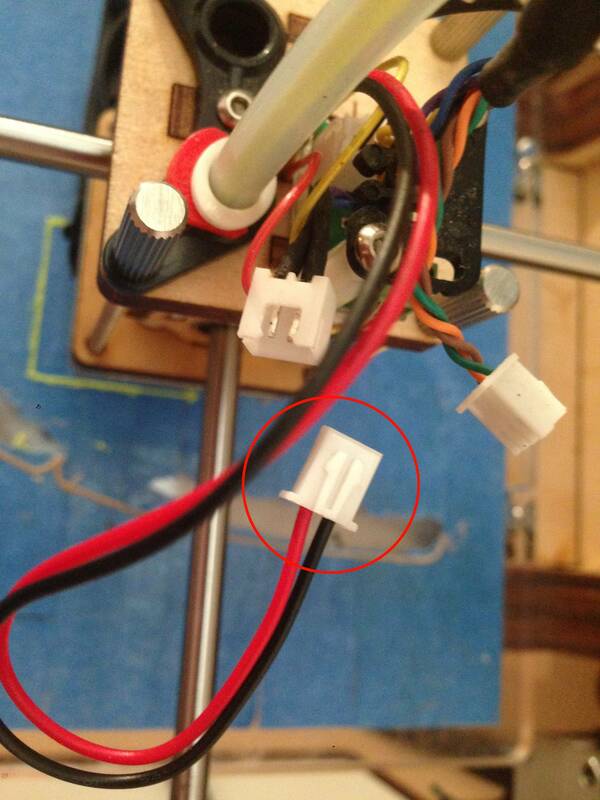 In the pictures, I need the specific of the connector inside the red circle. Otherwise, if you know any shops in UK that has the matching fan, it is even better. Really thanks in advance to anyone keen to help. can't you just use the wire from your old fan? 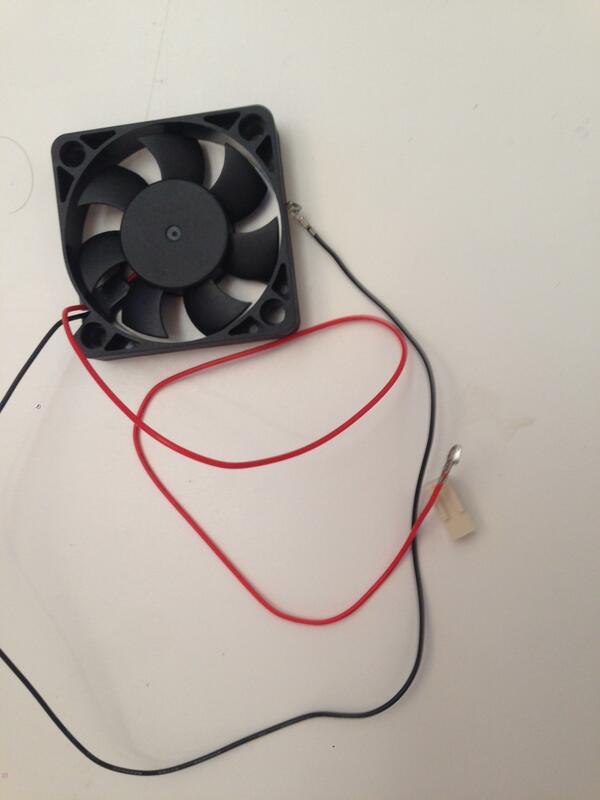 I replaced my fan once and de-soldered the wires from the old fan and put them on my new fan. Unfortunately, I broke the connector in the attempt to use it with the wires of the new fan.